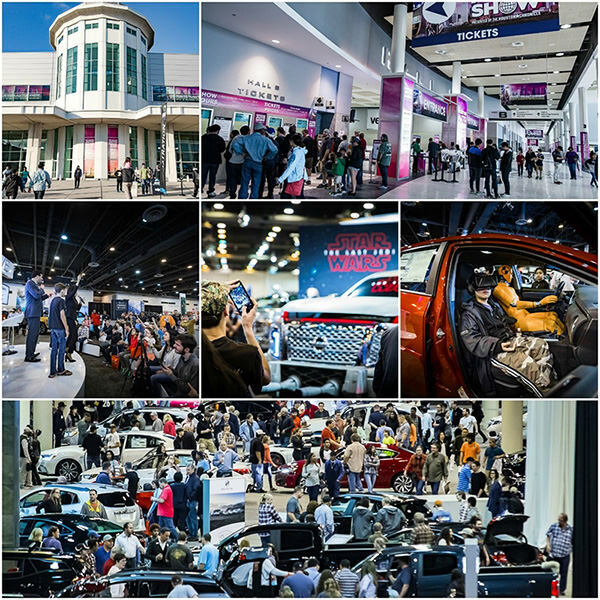 HOUSTON (Dec. 3, 2018) – The Houston Auto Show is revved up for the ultimate automotive adventure January 23-27, 2019 at the NRG Center. The 36th Houston Auto Show will be the largest auto show of the south, and the first place in 2019 where you can fully experience, and even drive, the latest cars and trucks from more than 40 automakers. In addition to covering an impressive 800,000 square feet of NRG Center with the latest and greatest in automotive, for the first time in 36 years, the exclusive Preview Night Gala will benefit Texas Children’s Hospital and be open to the public, January 22, 2019, at NRG Center. 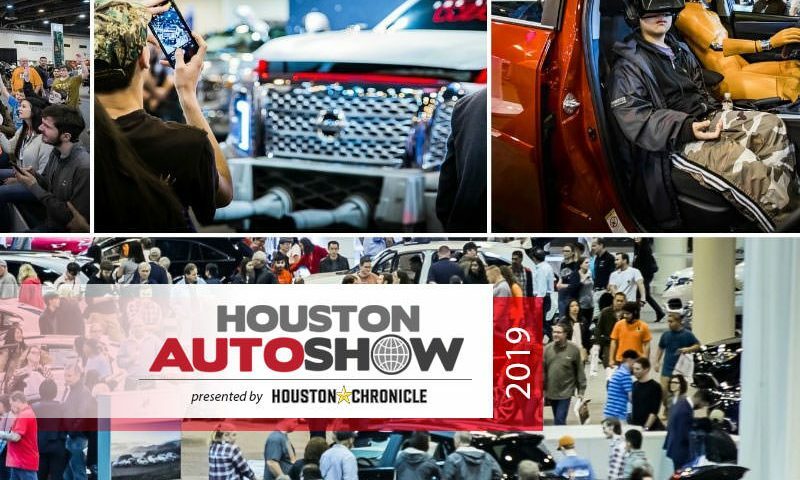 The Houston Auto Show, produced by the Houston Automobile Dealers Association and presented by the Houston Chronicle, features car makers of all types and offers an opportunity to test drive more than 80 vehicles under one roof. With 800 vehicles to choose from, guests can learn from the experts all there is to know about every new car, without the pressure to make a new vehicle purchase. Manufacturer participants include; Acura, Alfa Romeo, Aston Martin, Audi, BMW, Buick, Cadillac, Chevrolet, Chrysler, Dodge, Fiat, Ford, Genesis, GMC, Honda, Hyundai, Infiniti, Jaguar, JEEP, Kia, Land Rover, Lamborghini, Lexus, Lincoln, Lotus, Mazda, Maserati, Mercedes-Benz, MINI, Nissan, Porsche, Ram, Rolls-Royce, Toyota, Subaru, Volkswagen and Volvo. During Preview Night and the public days of the Auto Show, guests will be delighted to be the first in Texas to see vehicles like the recently announced 2020 JEEP Gladiator, and a new Ram Heavy Duty truck along with multiple high demand vehicle reveals. The 2019 Show will also include staples such as the Ram Ride & Drive Experience and Camp Jeep and exhibits from aftermarket vendors. The 2019 Preview Night Gala will commence Tuesday, Jan. 22, 2019. Tickets to the Havana Nights themed event are $250 a person, of which $100 of the ticket is tax deductible. Tickets include fine cocktails, tasty cuisine, live music and an exclusive first look at the 800 new cars and trucks of 2019. Sponsorship opportunities are still available. This event is already supported by American Financial, the Houston Chronicle, Allegiance Bank, Navcon Group, Trade in Valet and Wier Enterprises. Visit www.houstonautoshow.com/preview-night/ for more information. Rounding out the Auto Show, new exhibitors will fill an expanded Aftermarket Expo with everything that incorporates a vehicle into your life. Displays include innovative companies that convert vehicles into fresh eye-candy with car wraps, lift kits, tires and rims, and lifestyle accessories. Finally, for the automotive purist, the Houston Auto Show will also exhibit more than 50 classic vehicles throughout the lobby of NRG Center and in a specialty classic sections featuring trucks from all generations. And finally, a fun new feature, is the addition of a Food Truck Parkway that will consist of five different food truck options available Friday to Sunday. Wed. – Fri. Noon – 9:30 p.m.
Saturday 10:00 a.m. – 9:30 p.m. Adult tickets are $12 and $5 for children six to 12 years old when accompanied by an adult, kids under six are free. For more information, visit www.houstonautoshow.com.